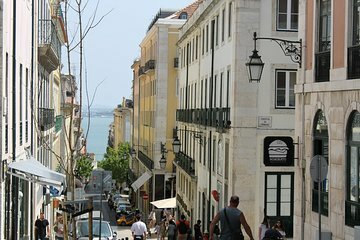 Explore three neighborhoods in Lisbon that have been setting trends since the 19th century on this 3-hour walking tour. Meet your guide in a central location and ride the tram uphill to reach the districts of Principe Real, Bairro Alto, and Chiado. You’ll then stroll around the area at a leisurely pace, and make regular stops for photos ops and an in-depth look at the sights. Children (under 6 years old) don't pay and are always welcome (please be aware that walking tours with children and baby trolleys may be hard to handle in some situations). Minimum numbers apply (2 pax min.). There is a possibility of cancellation after confirmation if there are not enough passengers to meet requirements. In the event of this occurring, you will be offered an alternative or full refund. Some amount of walking is involved, comfortable walking shoes are recommended. If rain is forecast, bring an umbrella as we will be outside for most of the tour.